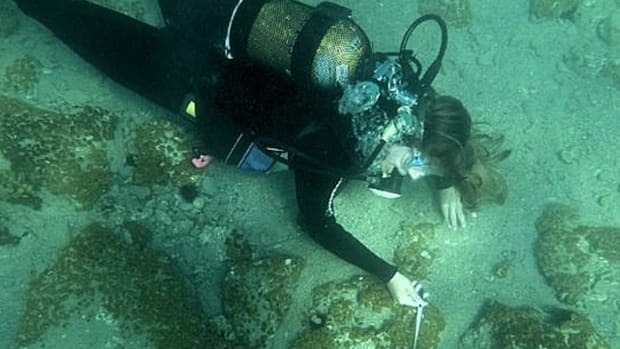 A team of marine archaeologists has discovered the remains of a formidable ancient Greek naval base, estimated to be some 2,500 years old, off the coast of Athens. 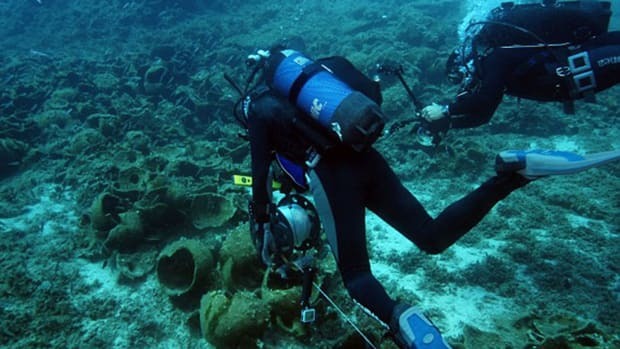 In 2001, a team of marine archaeologists led by Bjørn Lovén of the University of Copenhagen launched the Zea Harbor Project, a major land and underwater investigation in search of the ancient Athenian naval bases of Zea and Mounichia. They got a huge break in 2010, when a local fisherman guided them to a site on the northern side of Mounichia, in an area now used for fishing and yachting. 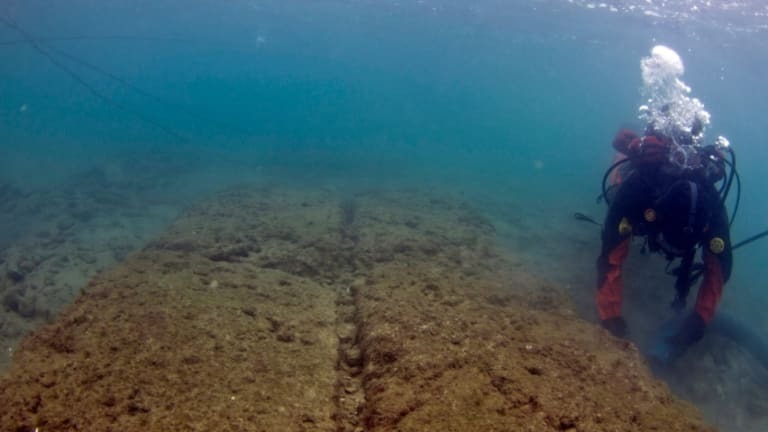 The team’s discovery of the remains of the ancient naval base built at Piraeus, Athens’ harbor city, represent a window into a pivotal moment in Greek history: the triumph of an alliance of Greek city-states over an invading Persian force in the Battle of Salamis, in 480 B.C. A few years before the battle, the Athenian statesman Themistocles had predicted a future attack by Xerxes, the powerful emperor of Persia. He determined that a strong navy would be Greece’s best defense against such an invasion, and pushed for the construction of a fleet of triremes, three-banked war vessels, to be based in Piraeus. 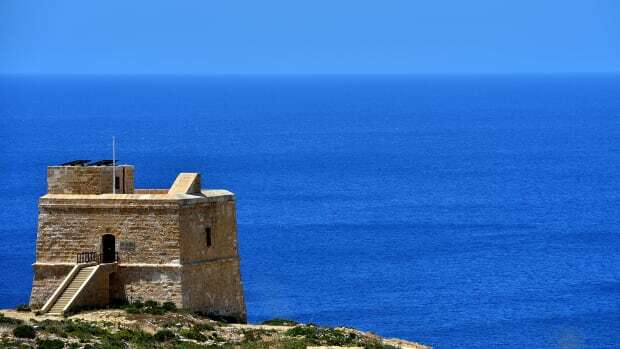 In order to protect this vital naval defense system, the ancient Athenians built a massive facility at Piraeus that would rank with the Acropolis and the Parthenon among the most formidable structures in the ancient world. Triremes would prove to be the key to building Greece’s naval power, both before and after the Battle of Salamis. The vessels were exceedingly vulnerable to damage, not just when at sea or in battle, but also while moored in the harbor. 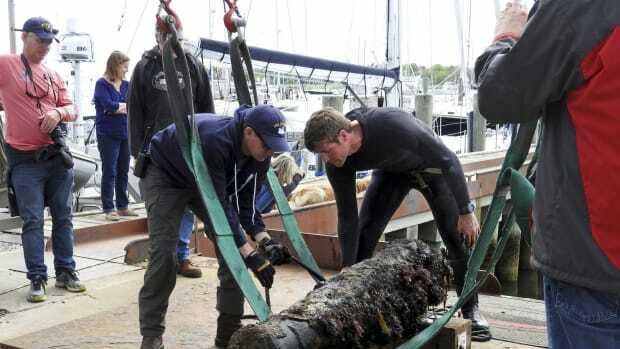 Excessive exposure to the punishing summer sun would dry out and shrink the timbers of the ships’ hulls, creating leaks, while exposure to rain would cause swelling and fungal decay in the wood. Ship-sheds, like those found by Lovén and his colleagues, were used to protect the vessels from these risks, as well as from damage by the wood-eating mollusks known as shipworms, or woodworms. By the late fourth century B.C., the complex of naval bases built at Piraeus could house more than 350 triremes. 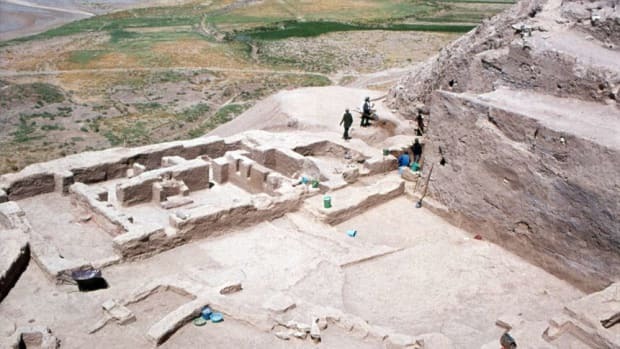 The ship-sheds, long parallel buildings measuring some 6 ½ meters wide and up to 80 meters long, had ramps along each side sloping up from the water. According to “The Wooden Wall,” a short film produced by Lovén about the Battle of Salamis and the Athenian naval bases, it took some 140 men to pull a trireme along the ramp and into a shed. A superstructure of stone collonades, walls and tiled roofs covered the sheds, and a sophisticated fortification system of walls protected the entire base. 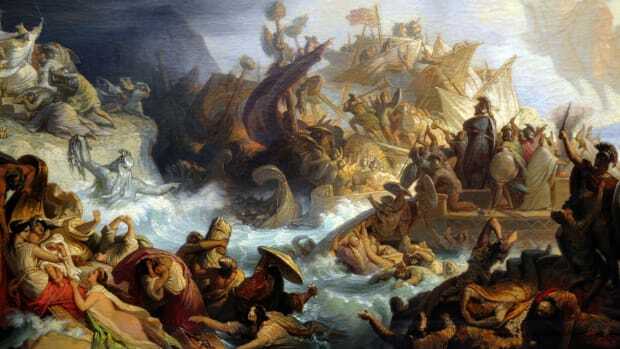 At the Battle of Salamis, Themistocles’ vision of a strong naval fleet for Greece would end up saving the young democracy and changing the course of history. Despite being severely outnumbered, with fewer than 400 warships against some 1000 Persian vessels, the Greeks managed to win decisively, halting the second Persian invasion of Greece. Two thirds of the ships that took part in the battle came from Athens, and were likely housed in the base Lovén’s team found.